Lucio Fontana, Ambiente spaziale in Documenta 4, a Kassel, 1968/2017, installation view at Pirelli, HangarBicocca, Milan, 2017. El Museo del Barrio is pleased to present artist Lucio Fontana’s 1968 Spatial Environment [Ambiente Spaziale]. 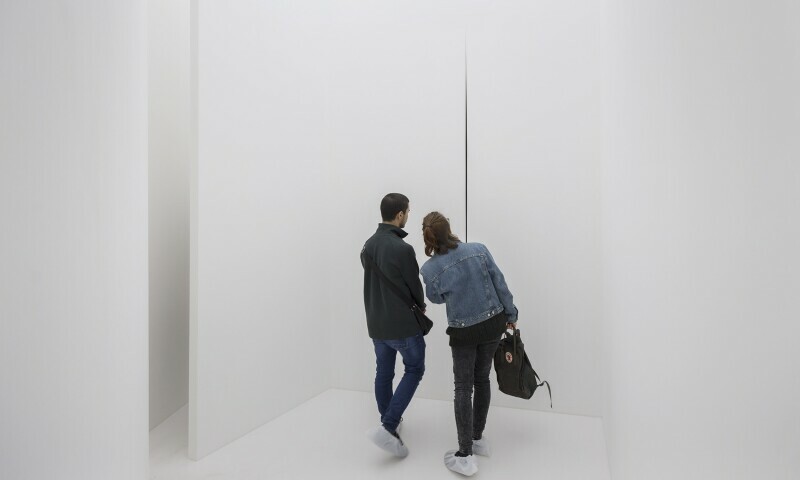 Conceived in relation to the artist’s innovative Spatialism movement, starting from 1949, Fontana’s Spatial Environments are immersive environments that viewers enter and navigate. Reconstructed with the authorization of the Fondazione Lucio Fontana, the all-white, labyrinthine Spatial Environment (1968) at El Museo will follow the exact specifications of the artist’s final work in the series, originally conceived and presented at documenta 4 in Kassel, Germany shortly before Fontana’s death. The installation coincides with the exhibition at The Met Breuer Lucio Fontana: On the Threshold (on view January 23 through April 14, 2019), curated by Iria Candela, Estrellita B. Brodsky Curator of Latin American Art in The Met’s Department of Modern and Contemporary Art.